Today, September 11, 2017, the “Supreme Court” of Crimea sentenced one of the leaders of the Crimean Tatar people Akhtem Chiygoz to 8 years’ imprisonment in a general regime colony. The Ukrainian Helsinki Human Rights Union strongly condemns the actions of the occupying country and calls on the international community to respond urgently to the actions of the Russian Federation in Crimea, demanding the release of Akhtem Chiihoz. 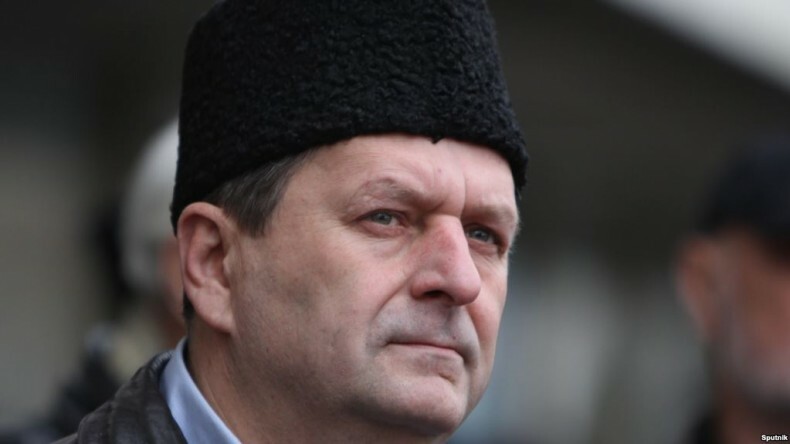 Akhtem Chiygoz was detained in early 2015 because of his participation in a rally in support of the territorial integrity of Ukraine on February 26, 2014. In front of the building of the Verkhovna Rada of Crimea in Simferopol, pro-Russian activists opposed the protesters. Russian “authorities” of the annexed peninsula accused Mr.Chiygoz of organizing mass riots. International experts have pointed out that the persecution of Mr. Chiygoz and other individuals involved in the case violates international law and is politically motivated.